Val Thorens, Europe’s highest ski resort and part of the 3 Vallées, the largest ski area in the world, has an excellent snow coverage at the moment – there is an average of 160cm on the slopes. Thanks to its high altitude, the resort opens until early May. March and April are excellent months to go as the days are longer and warmer, and the resort organises some fun events and festivals. The Enduro is a skiing challenge for teams of three. The teams will have to cover 600 kilometres of ski runs across the 3 Vallées and take part in 10 events. The perfect recipe for an excellent day! 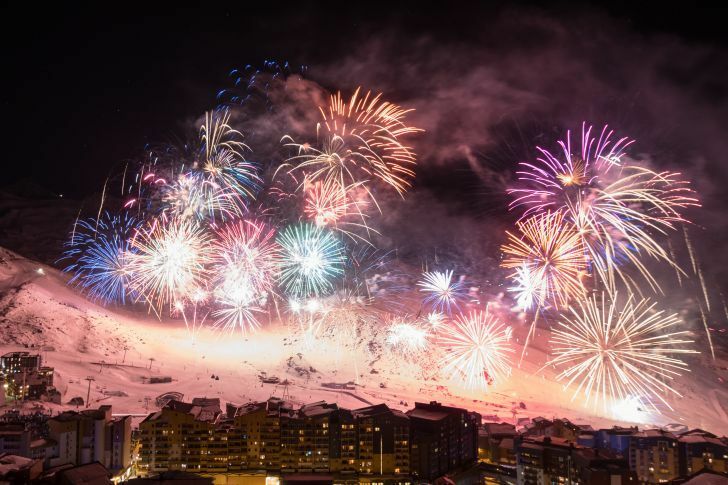 The second edition of the Jazz in Val Thorens festival will run from Thursday 17 to Sunday 21 April 2019 with nothing but jazz on the programme inspired by bossa nova, soul, blues, hip-hop and funk. There’ll be 17 concerts between 1 pm and 2 am, live on the terraces between two runs or, after skiing, a show for youngsters –JazzMix – and 3 exceptional showcase concerts in the evening with Manu Katché, Rhoda Scott, Biréli Lagrène. Sunday 5 May is the final ski day!